The Biggie - Life Of Notorious B.I.G. 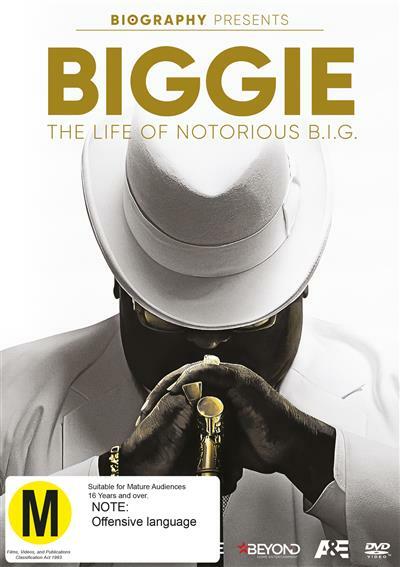 Directed by Mark Ford, Biggie: The Life of Notorious B.I.G. is the first biography to be authorized by his estate and will be the most personal and revealing documentary about the late Christopher Wallace that anyone has ever seen. This intimate documentary will focus on Faith Ev... read full description below. Directed by Mark Ford, Biggie: The Life of Notorious B.I.G. is the first biography to be authorized by his estate and will be the most personal and revealing documentary about the late Christopher Wallace that anyone has ever seen. This intimate documentary will focus on Faith Evans as she embarks on an emotional journey to reconcile her own turbulent memories. In addition, the special will explore the people and places that shaped his life including his youth hustling on the streets of Brooklyn, NY, his rise to fame with his confidante and collaborator Sean Diddy Combs, his relationships with Faith Evans and Lil Kim, his feud with Tupac Shakur, and his shocking murder on the streets of Los Angeles.